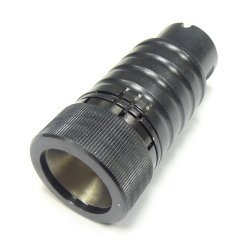 Type: 24mm Muzzle Brake Thread pattern: M24 X 1.5 RH Overall Length: 3.25in. This precision manufactured 4pc brake features nickel plated insert, custom made springs, and our intense attention to detail. Four pieces include: body, cone insert, cap and spring. 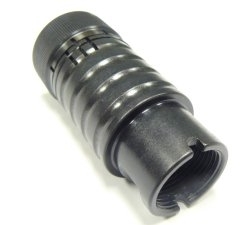 M14x1LH adapter (#24086) sold separately. 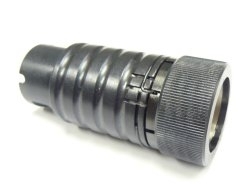 Detent Pin and Spring sold separately.